When NYC Posse 6 first arrived on campus in fall 2007, the students treated their mentor, Javad Tavakoli, like a newly minted substitute teacher. They showed up late for meetings, talked over the now emeritus professor of chemical and biomolecular engineering, and threw tubes of Blistex at each other. But Tavakoli, or JT as they nicknamed him, showed nothing but patience. He never yelled or said no when they wanted to reschedule a meeting. His computer mousepad sported a photo of the group, and his office provided refuge when life became overwhelming for any one of them. And now he has a scholarship named for him. Tavakoli, who retired after 29 years in 2015, learned of the fund during a surprise reception last month in Farinon Center. Martinez Alonzo lured him to campus under the pretense of attending an information session for incoming Posse students. 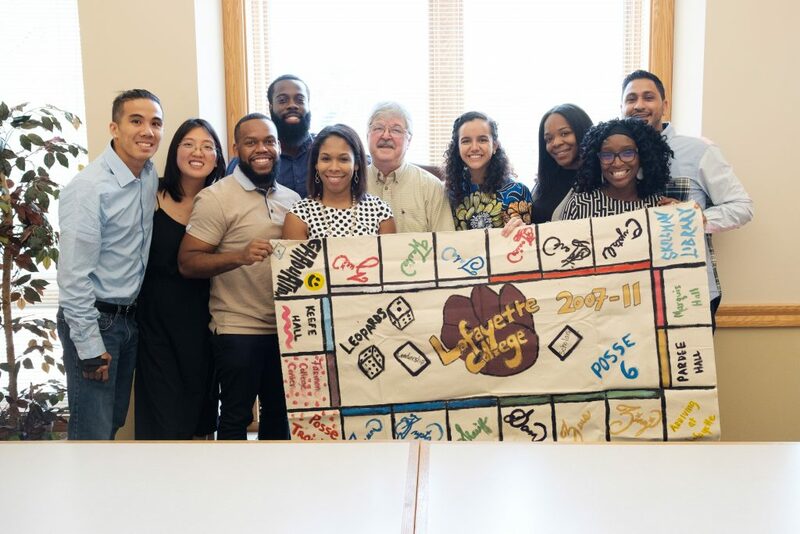 But when he walked into the Buttery Room, he was greeted by nine members of his Posse and Arlina DeNardo, director of leadership initiatives and senior development officer. Tavakoli, who was rendered speechless at first by the generosity and thoughtfulness of the group, refused to take credit for the students’ success. “Their efforts, their talents, their hard work are what brought them to where they are today,” said Tavakoli, characterized as having “the patience of a saint and the heart of a thug” by his Posse.